The best service at the best price. For over 30 years. Welcome to Galati’s Foreign Car Service. At Galati’s, we take the stress out of your car repair experience. Our world class service and repair will get you on the road quickly and safely. We are proudly serving the Northeast Ohio communities for over 30 years! 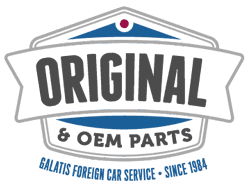 Galati’s has been committed to offering you superior service and automotive repair since our doors opened in 1984. Most repair work is warranted for 2 years/24,000 miles, all others are 1 year/12,000 miles. We honor extended warranties and service contracts. If you’re looking for the best service at the best price, look no further. Our passionate team of professionals is dedicated to providing excellent customer service and unsurpassed automotive repair excellence. 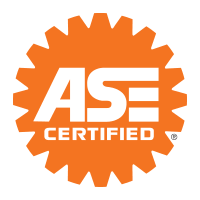 All of our mechanics are ASE Certified Master Technicians, and have extensive backgrounds and experience in all makes and model vehicles. We have the most advanced and up-to-date service and diagnostic repair equipment available. We offer complete bumper-to-bumper mechanical repair from scheduled dealer maintenance all the way to extensive engine and transmission work. After hours key drop and complimentary loaner cars make your experience at Galati’s fast and easy. You’ve tried the rest now try the best!